We know that organizations need the right people to bring their strategy to life and to drive superior performance. However, research shows that up to 25% of new hires leave an organization within six months and 83% of organizations believe they lack the leadership talent to deliver on strategic priorities. 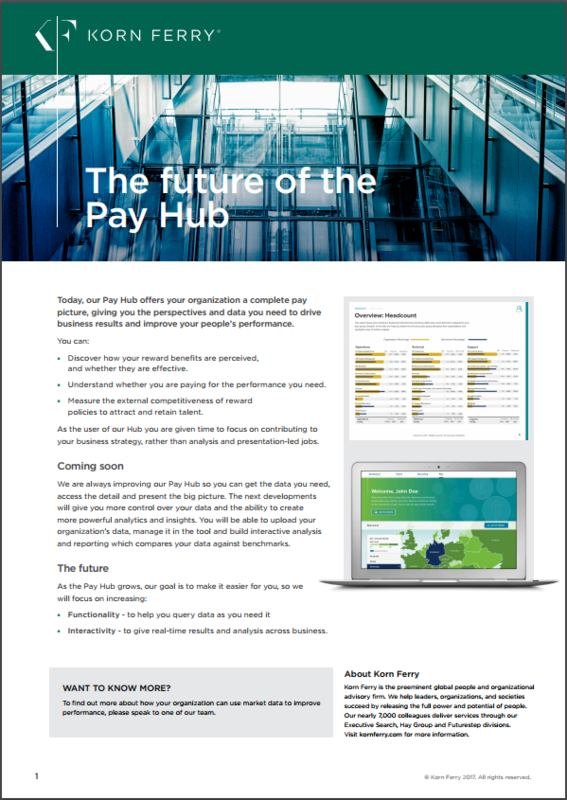 To help you drive better and faster talent decisions we developed the Korn Ferry Assessment Solution, giving you the best way to find, reward, develop and motivate your people to exceed their potential – all on one platform. Nothing is more important than talent - and nothing helps talent thrive more than opportunity. Leverage our leading assessments to select and develop the right people – fast. Implement a globally consistent approach to talent acquisition and talent management. Save significant costs by reducing talent attrition. 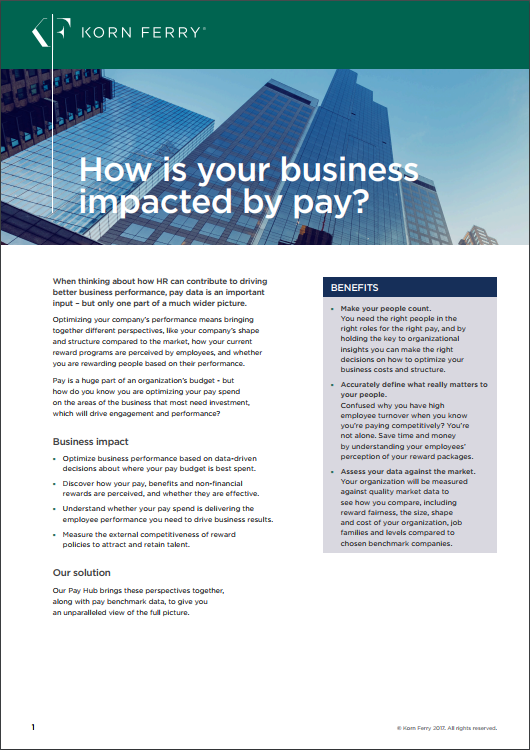 Drive business performance through sharper employee selection and development. Minimize risk by improving the leadership talent pipeline. Simplify HR data metrics and reporting via integration with your existing HR information systems. In China where are you based? Assessments that adapt in real time to reflect the participant’s responses. The option to add in immersive, multimedia elements for an even better candidate experience. 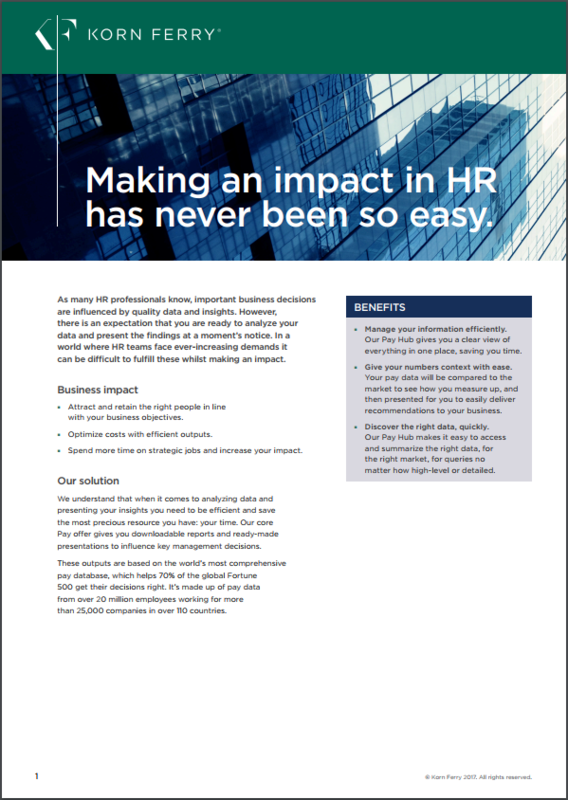 A platform you can easily integrate into your existing HR information systems. The ability to scale up if you need to assess large numbers of people.